The president, His Highness Sheikh Khalifa bin Zayed Al Zayed Nahyan express the feeling of their sympathy for the flash flood victims which hit the Dead Sea region yesterday to King Abdullah II. Sheikh Khalifa expressed his sincere feelings and Sympathy to King Abdullah, appealing to Allah Almighty to rest the influence’s soul in peace, and to bless their families with patience, wishing a fast recovery to the injured. 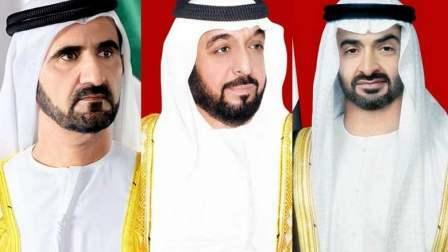 His Highness Sheikh Mohammed bin Rashid Al Maktoum, Vice-President and Prime Minister of the UAE and Ruler of Dubai, and His Highness Sheikh Mohammad bin Zayed Al Nahyan, Crown Prince of Abu Dhabi and Deputy Supreme Commander of the UAE Armed Forces, sent the same sympathy to King Abdullah.